Growing up in a troubled foster home, Mercy Dane knew she could never rely on anyone but herself. 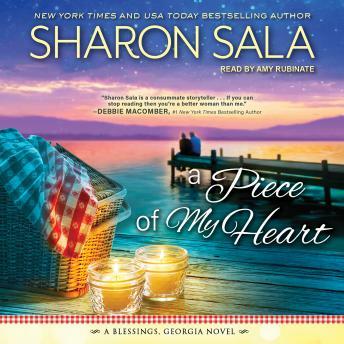 She's used to giving her all to people who don't give her a second glance, so when she races to Blessings, Georgia, to save the life of an accident victim, she's flabbergasted when the grateful town opens its arms to her. She never dreamed she'd ever find family or friends-or a man who looks at her as if she hung the stars. Police Chief Lon Pittman is getting restless living in sleepy little Blessings. But the day Mercy Dane roars into his life on the back of a motorcycle, practically daring him to pull her over, he's lost. There's something about Mercy's tough-yet-vulnerable spirit that calls to Lon, and he will do anything in his power to make her realize that home isn't just where the heart is-home is where their heart is.